In September 2016, Arcomusical completed its first edition of a new style and notation guide for composers interested in working with our organization. In the first months of its use, our friend and colleague Kyle Krause offered invaluable critical feedback during the composition of his sextet, “Gate of the Sphinxes.” In March 2017, we released a second extended edition of the guide. 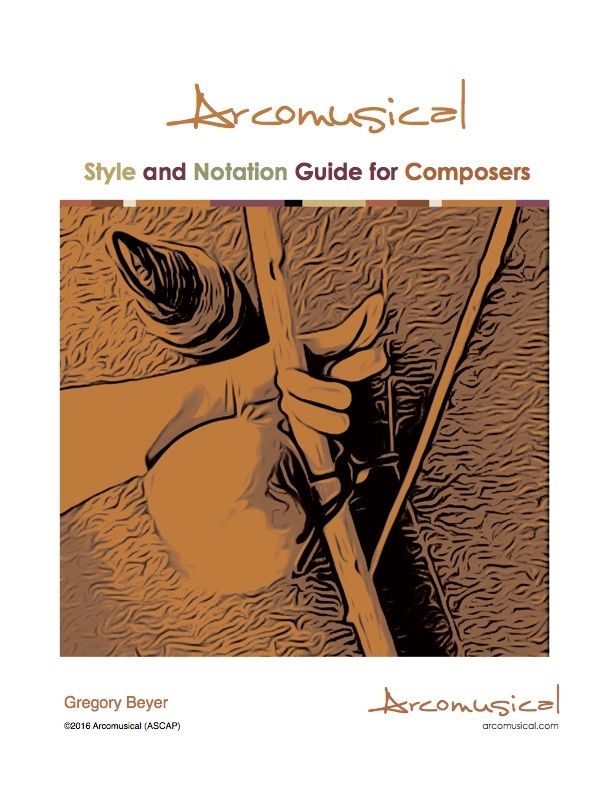 We make this freely available to anyone interested in learning more about writing for berimbau solo or ensemble. Please contact us at info@arcomusical.com with inquiries. During the summer of 2007, Due East traveled to Brazil to perform in Campinas and São Paulo, Brazil. After our concerts, we traveled to the north, first to Salvador da Bahia and second to Recife, Pernambuco. The purpose of these travels, aside from the enjoyment of traveling through Brazil!, was to conduct interviews with two of my personal heros of the berimbau, Mestre Valmir Santos Damasceno and Naná Vasconcelos. Mestre Valmir is the director of FICA-Salvador, the Brazilian head branch of the International Foundation of Capoeira Angola in Salvador. Naná Vasconcelos is a world-renowned percussionist and master of the berimbau, having taken the instrument out of its traditional context and developed a completely new virtuosic style for the instrument. In October 2007, my interview with Naná Vasconcelos was published in Percussive Notes, and you can read by downloading the PDF below! 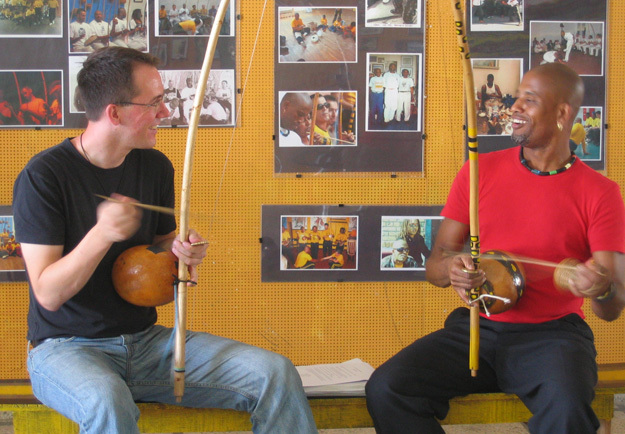 In 2004, Arcomusical Artistic Director Gregory Beyer completed a doctoral thesis dedicated to the Afro-Brazilian berimbau in its multiple facets. 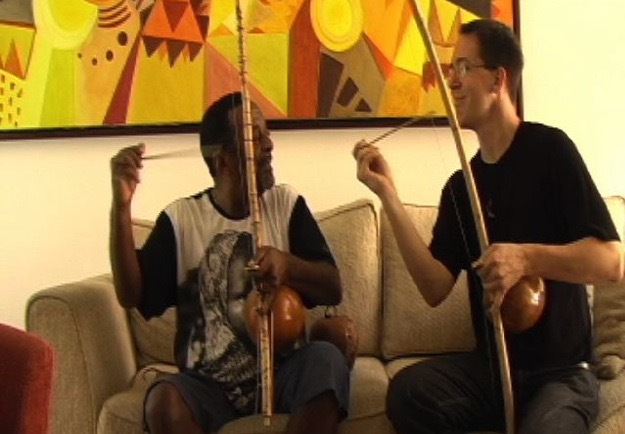 Divided into three principal sections, the thesis provides an overview of the berimbau in Brazil (specifically in capoeira and in the hands of the late Naná Vasconcelos (1944-2016), details the African gourd-resonated musical bow relatives of the berimbau, and analyzes compositions that Beyer either wrote or commissioned in the early years of his work with the berimbau as a solo instrument.